I first came across the idea that we will discuss today when Dave Canterbury in his New York Times Bestseller, Bushcraft 101 said, “Wise hikers carry few essentials and tools with them on their journeys; instead of extra equipment, they carry the knowledge and skills needed to create necessary items straight from the landscape.” Having been in Scouting (Cubs and Boys) for over a decade now, I distinctly remember my first excursion into the great wilderness with enough gear to outfit an entire infantry platoon at Ft. Benning, GA – All in one huge backpack. My sons Joshua and Caleb were in first grade when we all walked about half-a-mile into the Appalachian Trail in Brunswick, Maryland where I collapsed under gravity and declared “let’s camp here.” I had neither wisdom nor the skill the create anything from nature. But the idea of not wrecking my back and actually enjoying the experience of being in the outdoors is intriguing. Christopher Schwarz in his book The Anarachist’s Tool Chest discusses his journey as the General Editor of Popular Woodworkers Magazine in discovering how craftsmen of old, generally didn’t have a large amount of tools; not because they couldn’t afford them or some other reason. He says, “ . 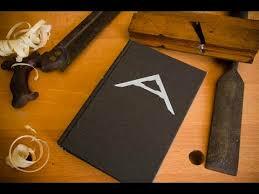 . . artisans didn’t require as many tools because the basic skill level was higher . 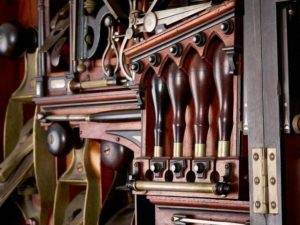 . . tool inventories and other published accounts indicate that the pre-Industrial wood-worker could use fewer tools to make furniture that was equal to or better than what we make today.” So let’s go to my workshop. In the workshop is a rolling Craftsman tool chest that has all the tools I have managed to collect since I was a teenager. There are some tools that are very precious to me for sentimental reasons, not necessarily because they are great tools. It has also been my understanding (with myself) that if at some point in the future that I was able to afford decent woodworking tools (meaning expensive not necessarily of good quality — I didn’t know the difference) that I would put them in a workshop and make “stuff.” But just like the giant backpack I have stuffed my workshop with “items” I don’t need. Instead of buying disposable tools that don’t really help me get to where I want to be – I have decided to focus on buying the best tools I can afford with the idea of passing this tool to my sons and their grandsons (As sad as it is to say, Grendal is not going to make it). But buying them along with developing a skill to go along with it and hopefully passing this skill along the line as well. I want to build good quality stuff that I am proud of, with good quality tools that are made by good craftsmen. Knowledge allows you carry less. The more you learn, the simpler life can be. This seems to run counter-culture to what I have grown to believe. If you are really good at what you do, then you should have tons of “stuff” that allows you to be able to do this. The really good craftsmen have huge workshops filled with thousands of tools – that do every imaginable specified thing. The truth is that those that are true to their craft can do it with fewer and fewer tools as they perfect their craft and grow in knowledge. Schwarz narrows his list to 63 tools needed to do just about all tasks needed to build furniture. Canterbury has a list of what he calls the “5 Cs” of survivability. Both men can do what they want (either building a nightstand, or making glue in the forest) with the knowledge of a craftsman and some basic tools. For me there seems to be a bell curve. On the left is a growing knowledge base and the false belief that you need more and more and more stuff to help you accomplish this feat. Then you reach a pinnacle where you realize that you don’t really need the poorly made and disposable stuff that you have accumulated around you and you cast it off and begin to acquire the right tools for what you want to do as you begin to master your craft. I guess that I am on that pinnacle and I am about to have a yard sale. 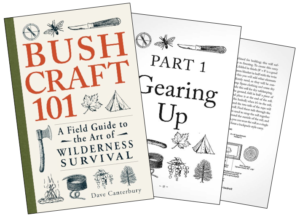 Dave Canterbury, Bushcraft 101 (Adams Media; Avon, Massachusetts, 2014) 13. Christopher Schwarz, The Anarchist’s Tool Chest (Ft. Mitchell, Kentucky; The Lost Art Press, 2010) 23. Last month my wife decided to come and see me in the workshop and I happened to be working with Grendel. As I was cutting a dado joint in plywood my wife screamed “what are you doing?” And so I looked up and as I did Grendel grabbed a piece of my finger. It has grown back now, but she is crazy dangerous.